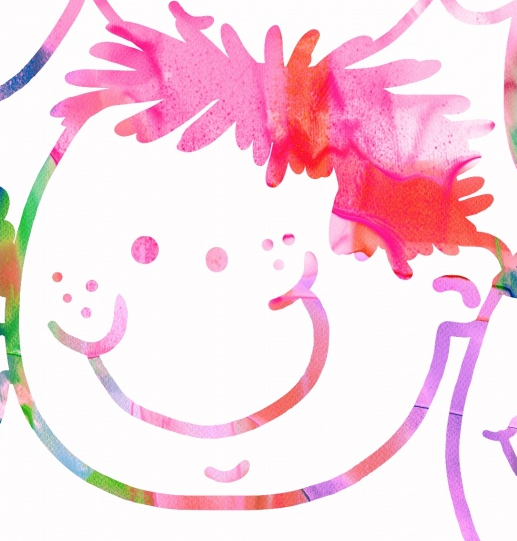 A Child With Needs - Early child development from a mom and professional. Teaching children to control their own behavior starts from the beginning. Hopefully this means at a young age, but it could also mean at the start of your relationship with them. I was recently reminded of a professional we once had in our house that liked to play a game with my son in an area next a desk. I am pretty laid back, so the situation itself did not bother me. It was rather an outcome of the situation that kept tripping me up. My son, barely older than a toddler at the time, would run into the desk and get very upset. For some reason, the other adult thought it was OK to teach my son to blame the desk for what happened. I do not suggest this as something to start teaching kids at a young age. As I told my son, if you run into something that is on you. Plan better next time. Owning their own bodies and behaviors is very important. It is easier to teach this at a young age but can be taught at any age. This is were ‘teaching-time outs,’ clear boundaries, and consistency really pull through. Partnering with children so that they learn the skills of critical thinking toward safety and life-skills help them when they are out in the real world. Rules – Are there clear rules in place? Try to have the child or children help you come up with some to help their brains become critical thinkers of what good behavior should look like. Simplify – If their is something in the environment that will not allow the child to be successful, and it can be gotten rid of, do it. Make this as easy (not as painless) as possible on both of you. Address Needs – This kind of goes with simplify but happens too often. A kid is slow because his fine motor is delayed. A kid isn’t reciting the song with everyone else because he can’t memorize the words. Remember no one wants to be humiliated. Kindness toward all counts. Keep It Positive – No I’m not saying brush over the knitty-gritty. Keeping things facts oriented though and not opinion oriented, helps the child see the cut and dry of it. So acknowledge when they get things right, and help steer them back on the path when they are starting to veer in their behavior. Follow-through – Accountability is key in so many aspects of life and behavior is no exception. Find a way that works for you to stay consistent about staying consistent. There is of course more to it, but if you start with this you’ll be well on your way. 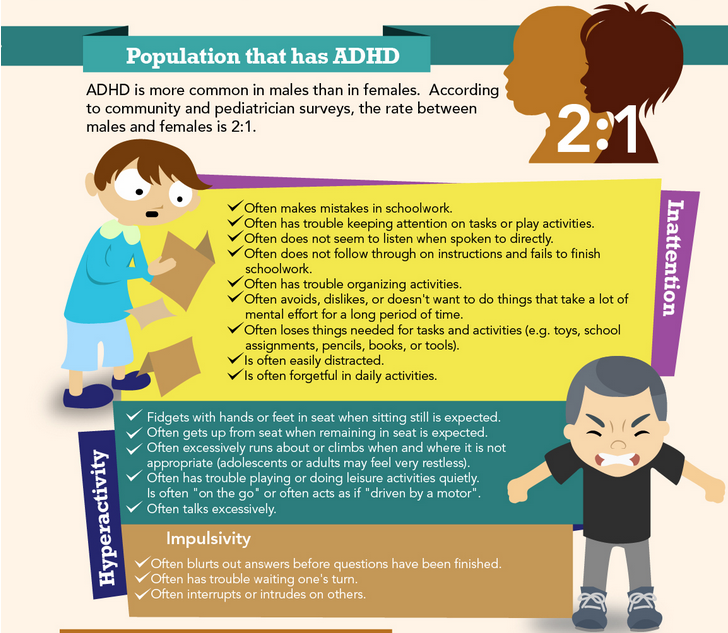 ADHD, Attention Deficit/Hyperactivity Distorter occurs in about 3-7% of school aged children. 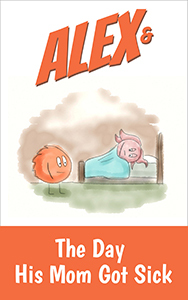 It effects their ability to progress social, occupational, or academically. It also must be present before the age of 7 and occur in at least to different settings. 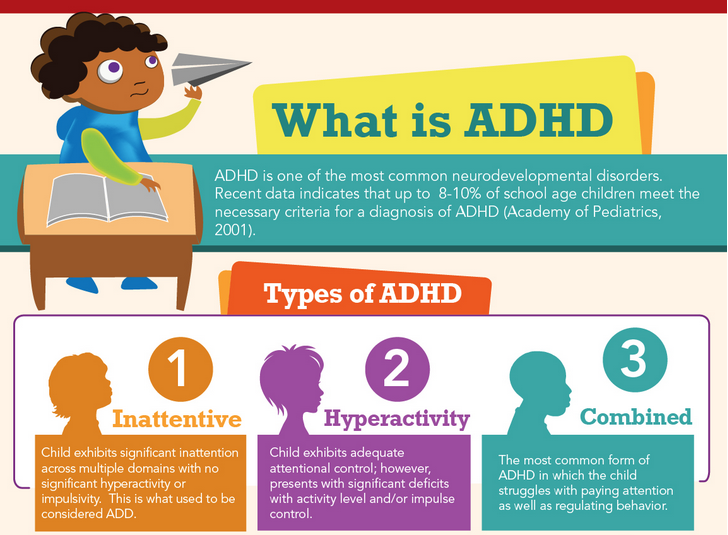 Although the name suggests inattention, many children with ADHD have long attention spans toward activities they find interesting. The cause of Attention Deficit/Hyperactivity Distorter is unknown. It is believed to be a combination of genetics and environmental factors. Many of the genes effected seem to be connected to the dopamine neurotransmitters. Environmental factors can include alcohol and tobacco use during pregnancy, lead and insecticide exposure, premature and/or low birth weight and brain injury. 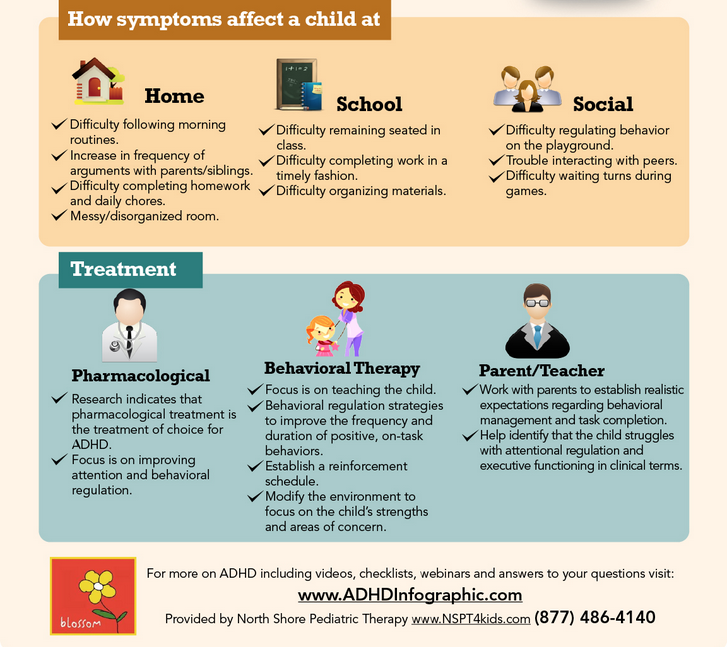 If these symptoms sound like your child, talk to your pediatrician. Medication and therapy can be used as treatment.